In business since 2003, ScarabWeb started as a small webhosting company and as of now we have expanded our business and our products. ScarabWeb offers variety of products to its consumers, from small hosting accounts to high end dedicated and cloud servers. 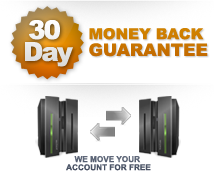 Our owned servers and technology enables us to provide customers with the maximum specification to the most affordable price. At Scarabweb our model is very simple, efficiency, performance, affordable, and performance which makes it easy for you to operate your business. Learn more by browsing through our website. We look forward to provide your business and hope to talk to you soon. ScarabWeb offers you many reasons for you to operate your business with our company. Here are our top 3 reasons why. Weekly promotions and clearance prices. ScarabWeb currently offers 5 types of SSL certificates for your needs. Start you're domain reseller business with a OpenSRS domain reseller. Talented team ready to complete your graphic, designing, and coding request for best performance and attraction to your business. I found ScarabWeb when I was very much in need of a new host. And I found just about the best I could. What really impressed me, was not only were the prices very very good, but the support was fabulous.